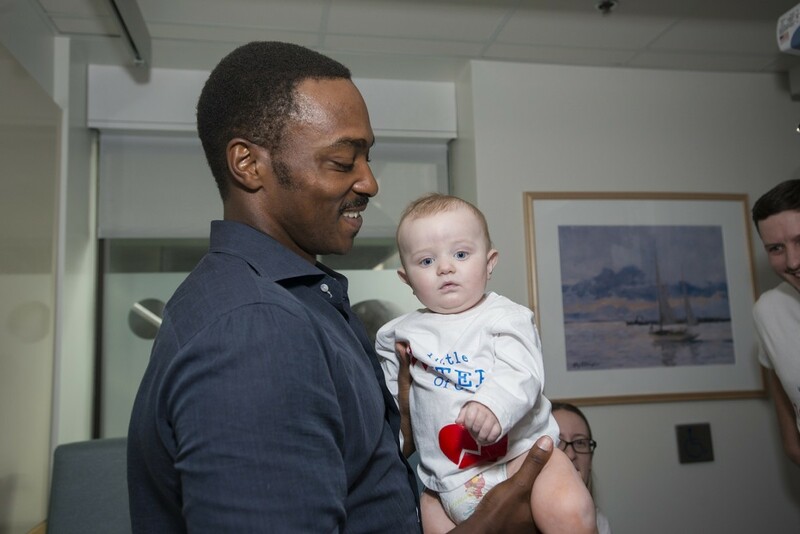 Captain America and Falcon visited young patients at MassGeneral. By Matt Juul·	 8/16/2016, 4:25 p.m.
Chris Evans and Anthony Mackie proved this week that being a superhero means more than just beating up bad guys. 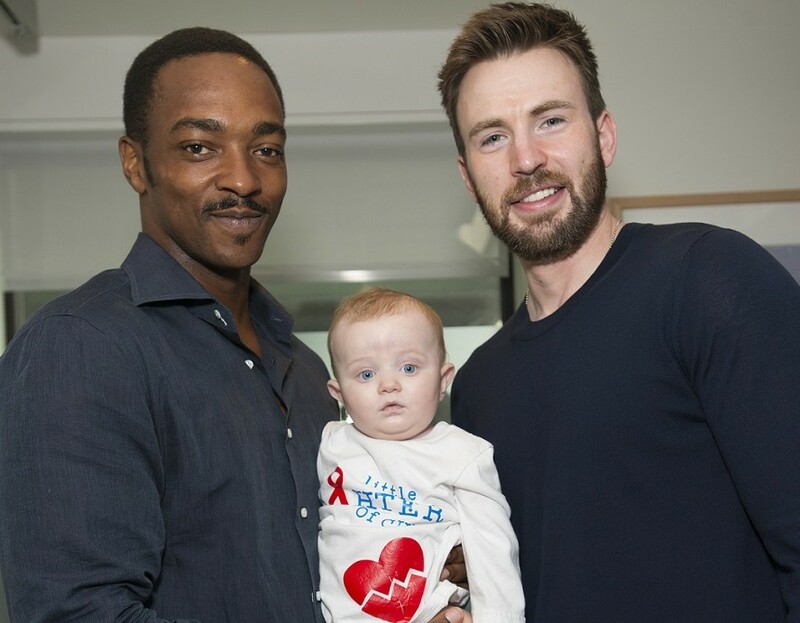 The pair of Marvel movie heroes made an impromptu visit to Boston on Tuesday in order to surprise kids at MassGeneral Hospital for Children’s inpatient units. Captain America and his Avengers pal Falcon stopped by to sign autographs and take pictures with dozens of young patients. It looks like the stars had a lot of fun hanging out with the kids during their trip to town. Evans can be seen in the photo below sporting a huge smile while sharing a laugh with 7-year-old patient Jude Langstaff. And how can you not find this photo of Mackie holding 9-month-old Carson Stenson adorable? Evans has come back to his home state of Massachusetts on several occasions to brighten the days of children with medical issues. Last year, he famously made a Super Bowl bet with Guardians of the Galaxy star Chris Pratt. The loser had to visit kids dressed up as their superheroic character at a hospital chosen by the winner. Evans ended up winning the bet since Pratt’s Seahawks lost to the Patriots. That meant Star Lord had to suit up and visit Christopher’s Haven in Captain America’s hometown. 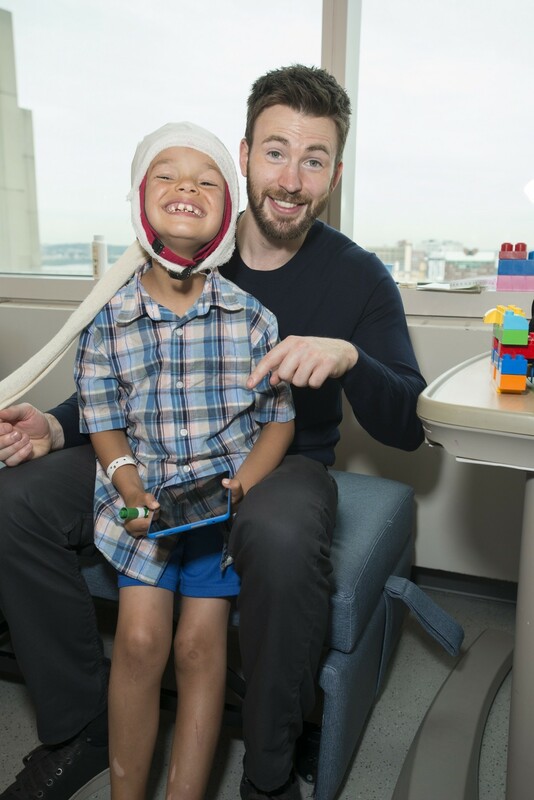 Evans later returned the favor and donned his Avengers suit while visiting Seattle Children’s Hospital.